Independent & Group The Great Barrier Reef & Queensland Tours Packages in 2019/2020 from Travelbag. With its idyllic tropical islands, breathtaking beaches, untamed lush rainforest, a dazzling underwater world, thriving city slick lifestyles and 300 days of sunshine a year, it isn’t hard to see why Australia's Great Barrier Reef & Queensland appears to have it all. Occupying the entire north-east corner of Australia’s vast mainland, Queensland is home to some of the world’s most renowned landmarks, many of which have been carved from nature’s fair hand, making it a must-visit on any Australia tour. Few natural marvels can be as extraordinary as the Great Barrier Reef, which fringes the Australian east coast in the turquoise stretches of the Coral Sea. Home to some of the world’s most beautiful – yet endangered – marine life, the Great Barrier Reef supports incredible diversity, making it a unique experience for anyone with diving familiarity. Even for those who aren’t trained to scuba dive, a Great Barrier Reef tour with Travelbag also offers the opportunity for novice snorkelling or travelling on a glass-bottom boat/aquarium to ensure you don’t miss out on this magical experience. Beyond the Great Barrier Reef, a Queensland tour holds much appeal for every visitor, whether you want the freedom of an independent tour, the benefits of an escorted tour helmed by our team of friendly and knowledgeable guides, or the intimacy of a small group tour. 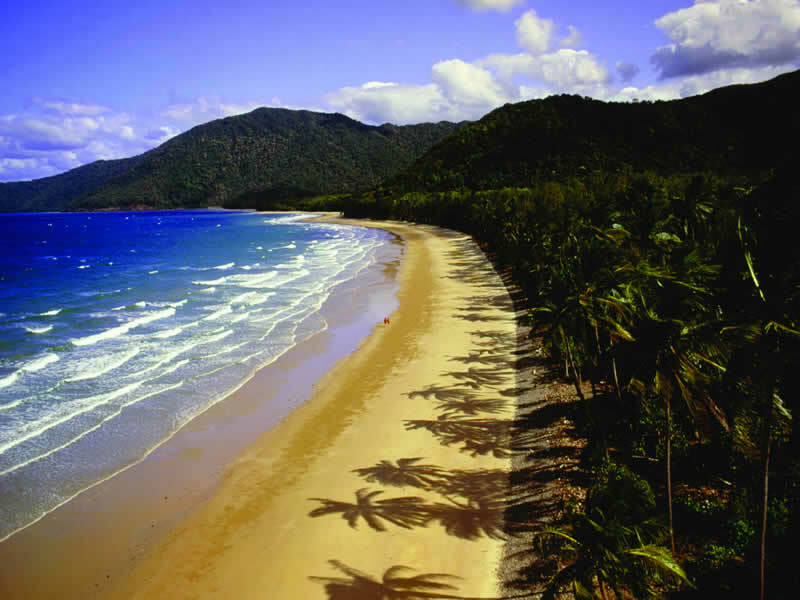 Few can resist the splendid beaches that fringe the east coast, most notably those to be enjoyed at Gold Coast, Airlie Beach and Mission Beach, locations you will have the pleasure of visiting on selected Travelbag Queensland tours. We especially recommend the picturesque Fraser Island, the world’s largest sand bar, and the Whitsunday Islands for a truly blissful beach experience, where the cobalt waters, pearlescent sands and lush interior create a stunning tropical setting. A Travelbag Queensland tour will allow you to venture into Australia’s lesser-known rainforests around the Atherton Tablelands, where lush greenery, picturesque waterfalls and dramatic landscapes can be explored. A particular highlight is travelling on the Kuranda Skyrail above the rainforest canopy for unrivalled views across this untamed patch of land. Queensland is far more than just hideaways though, so for those who enjoy the vibe of city life, Brisbane, Cairns and the Gold Coast will more than sate the appetite for culture and adventure. 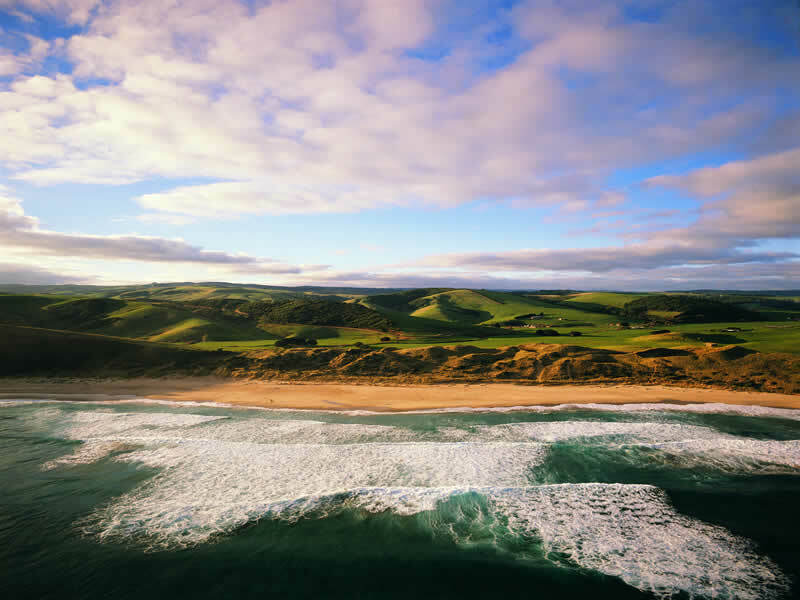 Indeed, it’s difficult not to be seduced by Queensland, whether you are feeling the soft sands between your toes, being mesmerised by the kaleidoscope of colours across the Great Barrier Reef, or looking into the eyes of the animals at world-famous Australia Zoo. 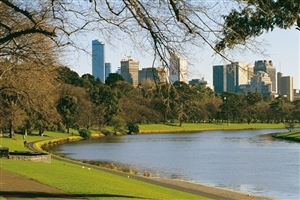 Few holidays can be as special or as memorable as a Queensland tour, so why not treat yourself? Experience the Queensland holiday of a lifetime with a Travelbag tour, where you will have the opportunity to dive to the depths of the extraordinary Great Barrier Reef, relax on the unspoilt sands of its stunning beaches and venture into the depths of its virgin rainforest. 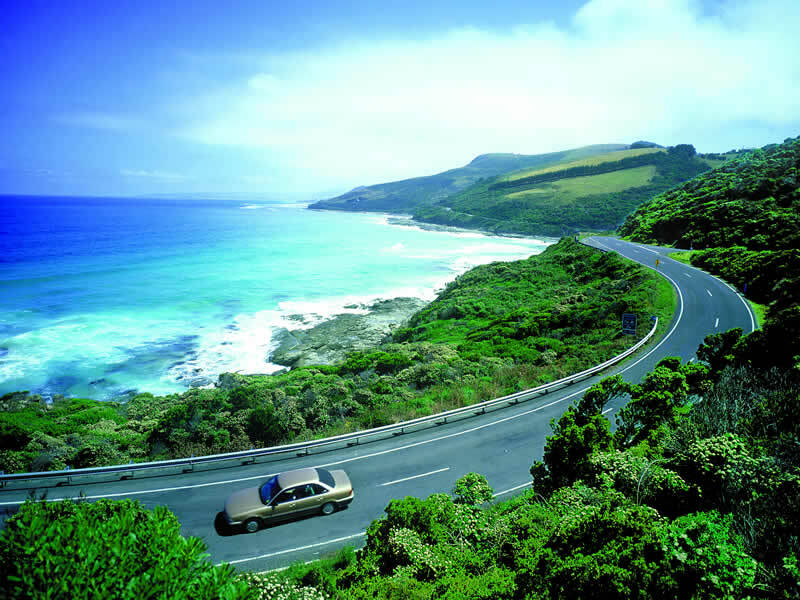 Choose from a range of comprehensive tour packages to suit your budget and requirements, from independent and self-drive tours, to escorted tours helmed by our friendly team of experts, to small group tours of no more than 16 people. With its brilliant beaches, slick cities and captivating corners, enjoy everything Queensland has to offer on a dream Travelbag tour without the hassle of having to arrange your accommodation or transport. For more information about Travelbag’s excellent range of Great Barrier Reef tours and Queensland tours, call 0203 944 2201 to chat with one of our knowledgeable travel experts about creating the perfect Great Barrier Reef and Queensland holiday for you. 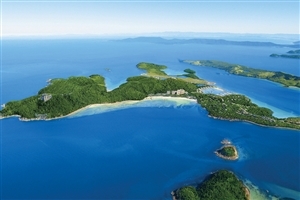 Relax in Australia’s tropical paradise - Sail out to the stunningly beautiful Whitsunday Islands, Australia’s tropical corner blessed with white sand beaches and crystal-clear waters. Trek into Queensland’s rainforests - Descend into the fertile regions of the Atherton Tablelands, where waterfalls, secluded pools and an abundance of native wildlife can be explored. Drift off on Fraser Island -The world’s largest sand island, the picturesque Fraser Island just off the coast to the north of Brisbane is resplendent with idyllic beaches and lush tropical greenery. Rise above the rainforest canopy - Board the scenic Kuranda Skyrail to ascend over Queensland’s rainforest canopy and travel deep into the heart of the lush forest. 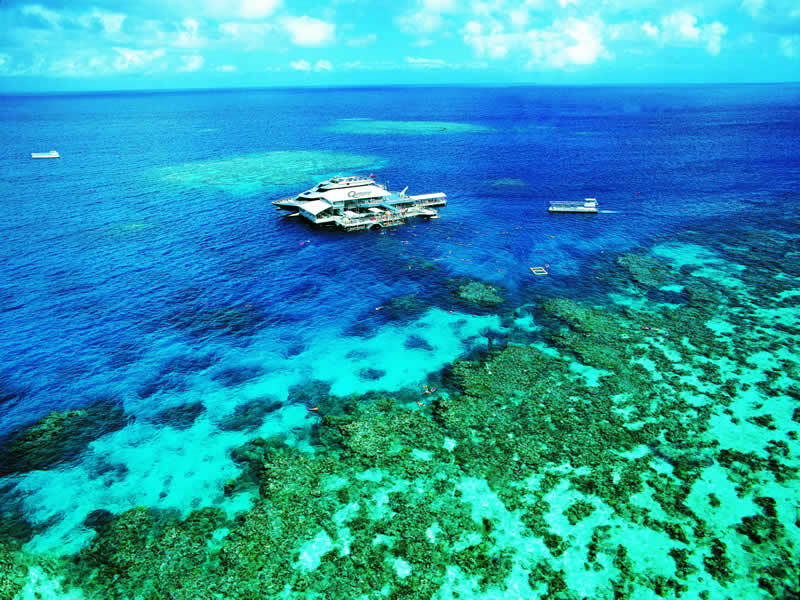 Stay dry at the Great Barrier Reef - Get the best from the spectacular Great Barrier Reef without getting wet by enjoying a trip on a glass-bottom boat. Be adventurous - Queensland is a perfect destination to try something new and adventurous, whether you fancy diving, bungee-jumping, riding river rapids or ballooning. Captivated by Cairns -Soak up the lively atmosphere of Cairns, the sun-kissed city closest to the Great Barrier Reef to the east and the Atherton Tablelands to the west. Amazing Australia Zoo - Visit the superb Australia Zoo, made famous by the exploits of the late Steve Irwin, Australia’s notorious ‘Crocodile Hunter’. Brilliant Brisbane - One of Australia’s fastest growing cities, Brisbane impresses with its impressive cultural attractions, pleasant weather and surrounding beauty. Abundant with a variety of colourful marine life, the Great Barrier Reef off Australia’s east coast is undoubtedly one of the world’s most extraordinary natural marvels. 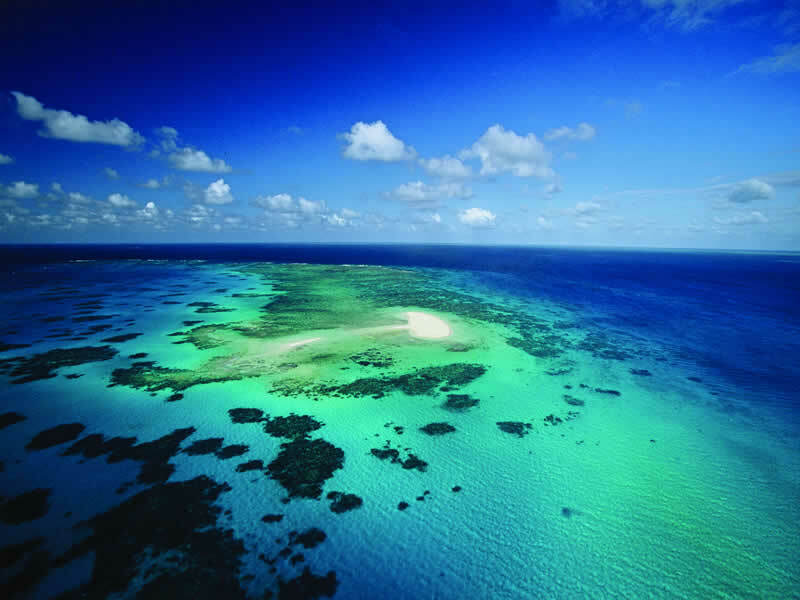 Dive in, snorkel or admire from a glass-bottom boat on a Travelbag tour, the Great Barrier Reef is a sight to behold. With its sublime beaches, excellent weather and copious activities for the whole family, the evocatively titled city of Gold Coast is a popular stop on any Travelbag tour. From the waves of Surfers Paradise, to the sands of Burleigh Heads, the Gold Coast is certain to dazzle. 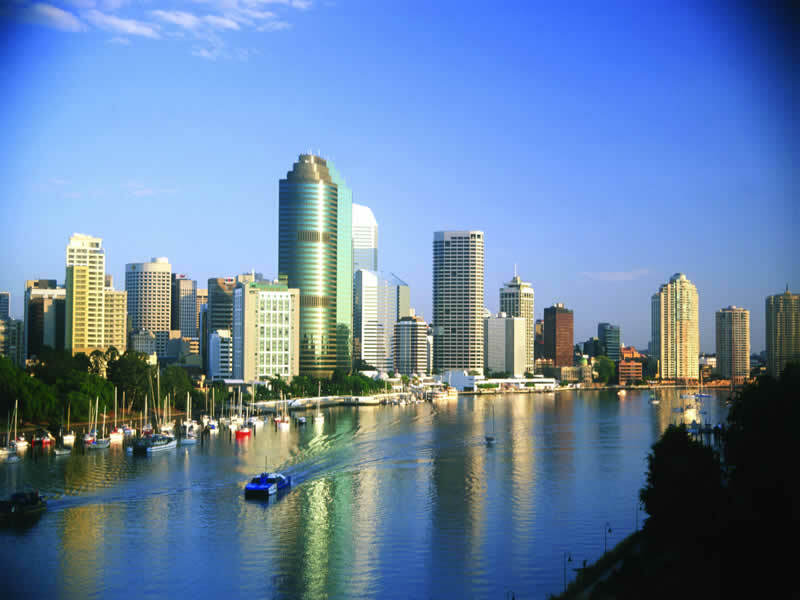 One of Australia’s fastest growing cities, Queensland state capital Brisbane is winning hearts with its pretty lanes and walkways, impressive cultural attractions and laid-back atmosphere. 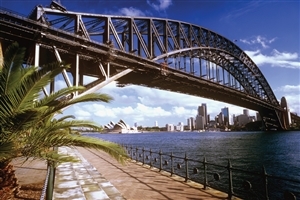 Highlights include the Gold Coast beaches just to the south and the world-famous Australia Zoo. Located off the Queensland coastline, the tropical Whitsunday Islands are often regarded as Australia’s most idyllic holiday destination with its ivory-tinged beaches adjacent to the impossibly blue waters of the Coral Sea. 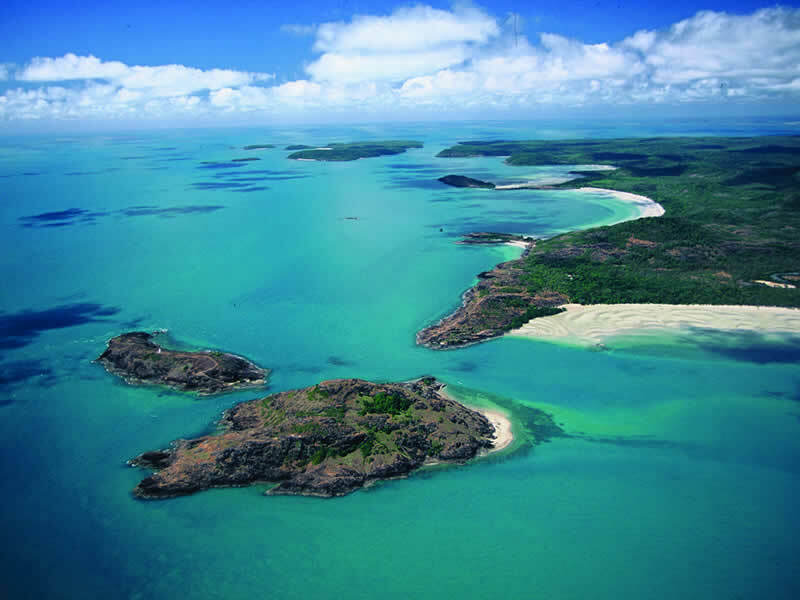 Visit the Whitsunday Islands with Travelbag and be transported to a place of pure tranquillity. The oft-unseen rainforests of Australia, the Atherton Tableands are a fertile plateau in Queensland, where lush forests, dramatic gorges and pretty waterfalls can be discovered. Visit Kuranda via its popular Skyrail or trek into the hills for a glimpse at Queensland’s verdant interior. The lively city of Cairns has become a popular haunt thanks to its proximity to the Great Barrier Reef, complementing its location with plentiful restaurants and bars, while it is also the ideal base from which to have an ‘adventure’, from diving to hot-air ballooning.